The Oculus Tracker is an infrared camera that tracks the position of the Oculus Rift and Oculus Touch devices relative to it’s own location. It can be quite handy to be able to display the location of the camera within an app or game to help the player orient themselves, or even just to give the player a physical reference in their real space. 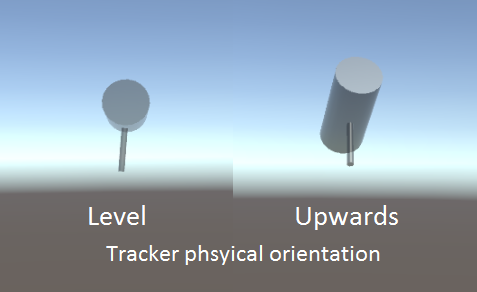 The Oculus Unity Utilities provides several ways to locate the position of the tracker. One way is to programmatically call OVRManager.tracker.GetPose() and OVRManager.tracker.GetFrustum(). But, since Oculus Unity Utilities 1.3.2 onwards, the OVRCameraRig prefab has a new anchor under the TrackingSpace called TrackerAnchor. 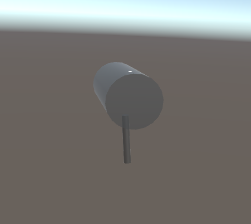 Simply place a 3d model of the tracker under this anchor and it will be positioned automatically at the correct location and orientation. 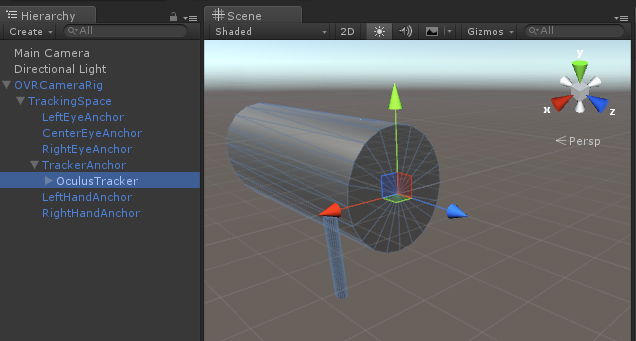 Note: Please create a new Unity project and import the Oculus Unity Utilities v1.5 then import the tracker above.